The Farmers' Bank of Rustico - The first credit union in North America? Home > The Farmers' Bank of Rustico - The first credit union in North America? 1The Farmers' Bank of Rustico existed from 1864 to 1894 (The Bank received its charter in 1864 but had been operating informally since 1861). Located in Prince Edward Island, one of the 10 provinces of present-day Canada, this financial institution, entirely managed by farmers in this part of the Island, was situated in this Acadian (Francophone) parish. Acadian settlers settled on this island in 1720, which was the land of the Mi'kmaq (the region's native people). They came in large numbers, especially between 1748 and 1756, to avoid the British deportation of Acadians from Nova Scotia. In 1758, the majority of the Island's Acadian residents were deported to France by the British. Among those who avoided deportation by taking refuge on the mainland, many returned to the Island. All the land on the Island, which had become a British colony, had been allocated to British landlords by a lottery held in London. As a result, Acadian farmers became annuitants and had to pay annual rent. As many were too poor to pay this rent, they had to leave the land they had cleared and start again elsewhere. This was the situation Father Georges-Antoine Belcourt discovered when he arrived as a Catholic priest in the Parish of Rustico in 1859. At the time, Rustico was the most important of the seven (7) Acadian parishes on the Island. It is worth noting that it was thanks to the English-speaking Bishop of the Island that Belcourt was recruited in the Archdiocese of Quebec. Previously, Father Belcourt had been a missionary in the West, in present-day Manitoba and North Dakota, to the Aboriginal and Métis populations. As he had prepared a petition, signed by 977 Métis, calling for an end to the Hudson's Bay Company's trade monopoly, a large capitalist company, he had been withdrawn from this territory. It is presumed that the political authorities of the time had put pressure on the Archdiocese of Quebec to withdraw him. After several years in North Dakota (United States territory) he was recruited to come to the Island. Quite quickly, seeing the poverty of the farmers in Rustico, Belcourt proposed the creation of a Farmers' Bank to meet their credit needs. At the time, farmers could hardly obtain loans from commercial banks, as the interest rate exceeded 20%, and the repayment period was a maximum of 3 months. This is impossible for farmers because the deadline came before the harvest. The farmers adopted the project. From 1861 onwards, informal activities began. However, in order to make it an official institution, legislation was passed by the Legislative Assembly of Prince Edward Island in April 1863. As it was before Canada's creation as a country (1867), it was necessary to obtain the government's consent in London. The Charter was granted in 1864, despite strong scepticism about such a small project. Indeed, the initial capital planned was £1,200, equivalent to $3,600 dollars at the time. It thus began its operations, including the authorization to print its own banknotes. The law established a Board of directors of 12 people, half of whom changed each year. In order to build up the initial capital, 1,200 shares were put up for sale. The law stipulated that no single person may hold more than 10% of the shares. In addition, the law favoured holders of a single share. Thus, at the annual meeting, the holder of a share had one vote. To obtain 2 votes, you had to have 10 shares, 3 votes required 20 shares, etc. As successive boards of directors have always been composed entirely of farmers, this was a sign that they had control. In fact, it seems that some outsiders were buying several shares to help the Bank build its capital for loans. "Do you want to know a lot about how poor people can become bankers? It is a secret that indeed contains enough interest to arouse curiosity; well, here is how we do it without asking how the gentlemen do it, (the capitalists.) The officers are 12 in number, including a President, Treasurer and Secretary, and the other advisors, eligible each year by the shareholders. The first 3 officers, those in office, are elected from the twelve by this council. Their office is honorary, and until their office gives them too much work, they act for honour and not for money, (it would not suit those who love it more)." Thus, in this 1862 letter, written to a friend in France, it is obvious that the project was well prepared, and this before the adoption of the law in 1863. During the 30 years of activity, the Bank printed its own banknotes (exchangeable with other currencies). Although most of the activities were conducted in French, the banknotes were bilingual. The main activity was to provide small loans for farmers, at rates varying between 6% and 8%. The repayment periods ranged from 6 to 12 months. In some years, the bank generated surpluses, part of which were paid in dividends. Over the years, the capital increased to $21,000. In the last years, there were also savings accounts. The Charter of the Farmers' Bank of Rustico was extended twice by the Canadian Parliament, in 1883 and 1891. Unfortunately, as a result of various pressures, the Charter was not extended beyond 1894. Among other things, the Canada Bank Act of 1871 stipulated that $500,000 in capital was required to operate as a bank in Canada. In doing so, the big capitalist banks ensured that all the small banks were eliminated, of which the Farmer’s Bank of Rustico was probably the smallest, having 25 times less than the minimum required. Despite all the efforts of the major banks to eliminate it, it nevertheless managed to maintain itself until 1894, partly because it had obtained its Charter before Canada was formed in 1867. The concept of a cooperative was not yet well known, as the first cooperative was the one in Rochdale, Great Britain (1843). For the Francophones, the concept appeared a few years later in France. There was obviously no legislation on the subject yet. Nevertheless, according to the testimonies and writings of historians, it operated according to the major modern cooperative principles. The Bank was controlled by individuals and not by capital. Throughout its existence, the 12 directors were Rustico farmers. The manager was often a farmer and sometimes a teacher from the local school. Although the bank did not use the word cooperative in its name, it can certainly be said that it was a pioneer of the first savings and credit unions, called caisses populaires in French-speaking Canada. Indeed, it was not until 1900 that Alphonse Desjardins founded his first Caisse populaire in Lévis. It is quite possible that Alphonse Desjardins became aware of the existence of the Rustico Bank because he was an official stenographer in the House of Commons in Ottawa from 1892, before the Bank closed. 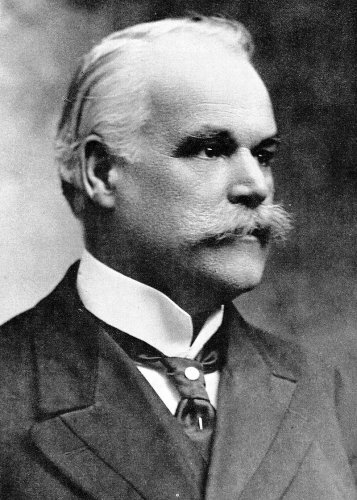 In the United States, the first Caisse populaire was established in Manchester, New Hampshire in 1909, in a Francophone community, with the help of Alphonse Desjardins. If not a formal credit union, we can certainly affirm that the Farmer’s Bank of Rustico was clearly a precursor of the credit unions created by Alphonse Desjardins. At the same time in Germany, Friedrich Wilhelm Raiffeisen founded the Heddesdorf Credit Union in 1864 to help German farmers buy livestock, equipment, seeds and other agricultural needs. The coincidence is striking. In both cases, the activities started the same year, in 1864! This was to meet the needs of farmers, which is normal, because at the time, most of the population lived in rural areas. 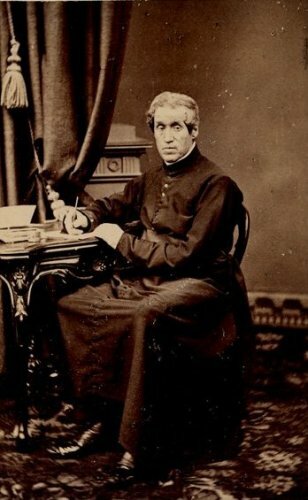 Father Belcourt's ideas, who gave lectures in other French-speaking parishes on the Island, would probably have inspired the creation of a cooperative-type association in 1862, two years before the Farmers’ Bank received its charter. A Grain Bank for seeds was created in the parish of Baie d'Egmont. Any lessons for us in 2018? It is very important to note that the creation of tools to resist the negative effects of capitalism has a long history. As can be seen from the letter of 1862, capitalism was a widespread notion. The Bank law, dictated by the great capitalist bankers, made the disappearance of the Rustico Farmers' Bank inevitable. It is also quite possible that some of Father Belcourt's failure to convince other Acadian communities to create such an institution may not have helped. Even though this Bank was forced to cease operations, cooperatives in the Acadian regions of the Island grew considerably, especially after the Second World War. In the fields of fishing, credit unions and cooperative stores. 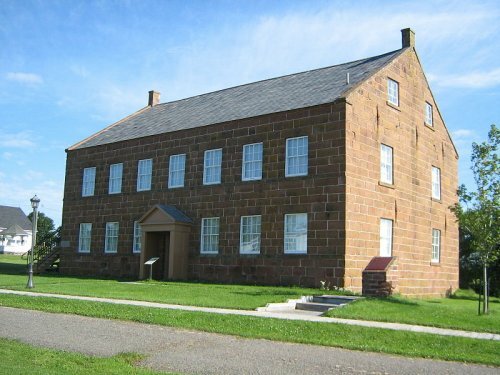 In recent times, an association of Rustico residents was formed and in 2007 succeeded in having the building where the Bank was housed recognized as one of the Historic Sites and Monuments of Canada. We have a duty to remember these initiatives that have inspired future generations, including the author of this article who was born in another Acadian parish on the Island. As in 1864, our societies are still dominated by this capitalist model, now globalized. It can even be said that this model has accentuated inequalities between countries, and within countries. This is an inevitable result of the capture of 50% of the world's wealth by 1% of the population, mainly located in so-called developed countries. This situation creates fertile ground for wars, extremism and fundamentalism, not to mention the displacement of tens of millions of people, more than ever. A model that also produces global warming, which affects the world's poorest people. The awareness of this situation, as well as the need to provide the means to survive, everywhere on the planet, has led to a strong renewal of non-capitalist responses over the past thirty years or so, which are in line with the initiatives of these 19th century pioneers. Today, recognizing itself mainly in the notion of the social solidarity economy (SSE), global networks are being created in order to help each other and promote an economy, and a world, organized by and for populations in order to meet their needs and not the needs of capital. It is solidarity and not competitiveness that prevails. The vision of these 19th century pioneers is the same as that of the Intercontinental Network for the Promotion of the Social Solidarity Economy (RIPESS) in which the author has been involved since 2004. Capital must be at the service of humans and not the other way around! 1 Thanks to historian Georges Arsenault for his important contributions to the historical part of this article. 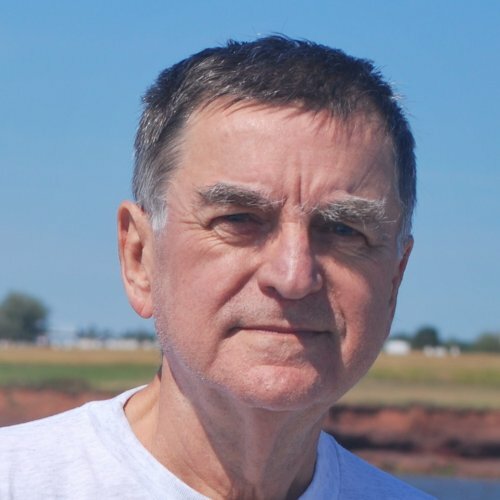 Yvon Poirier has a long history of involvement in the labour and social movements in Québec and Canada. He was founding President of the Corporation de développement économique communautaire de Québec in 1994, and member of the organizing committee of the Global Meetings on Community Economic Development in Sherbrooke, Québec in 1998. From November 2003 to July 2013, he co-edited a monthly international e-newsletter on sustainable local development published in four languages. He has been a CCEDNet member since 2003 at first as an individual and since 2012 he represents the CDÉC de Québec. He has been involved in tnternational representation for CCEDNet since 2004. His most significant international involvement has been in the Intercontinental Network for the Promotion of the Social Solidarity Economy (RIPESS). He has participated in many RIPESS conferences in different continents and since October 2o13 is a member of the RIPESS Board of directors. He has also participated in different World Social Forums and he represents RIPESS in the UN Inter-Agency Taskforce on SSE.